After many weeks of hectic weekends, I had my first quiet Friday evening at home in a while. I’d just gotten a call from a director casting me in his play, so I knew I didn’t have any more auditions to attend for a while, and I had no plans until Saturday evening. I stopped at the store on my way home from work and picked up some supplies, and made a lovely dinner en famille, complete with a lovely bottle of Bordeaux. The next morning, I could wish that I might have drunk a little less the evening prior, but I was not feeling too poorly. Rather than sleeping for hours past the alarm and staying in bed until 10, I set an alarm earlier, and sat up in bed for an hour or so, reading articles and drinking a glass of water to rehydrate. Then I slathered on some face cream because I was feeling a bit dry, and went downstairs to help Boyfriend make waffles. 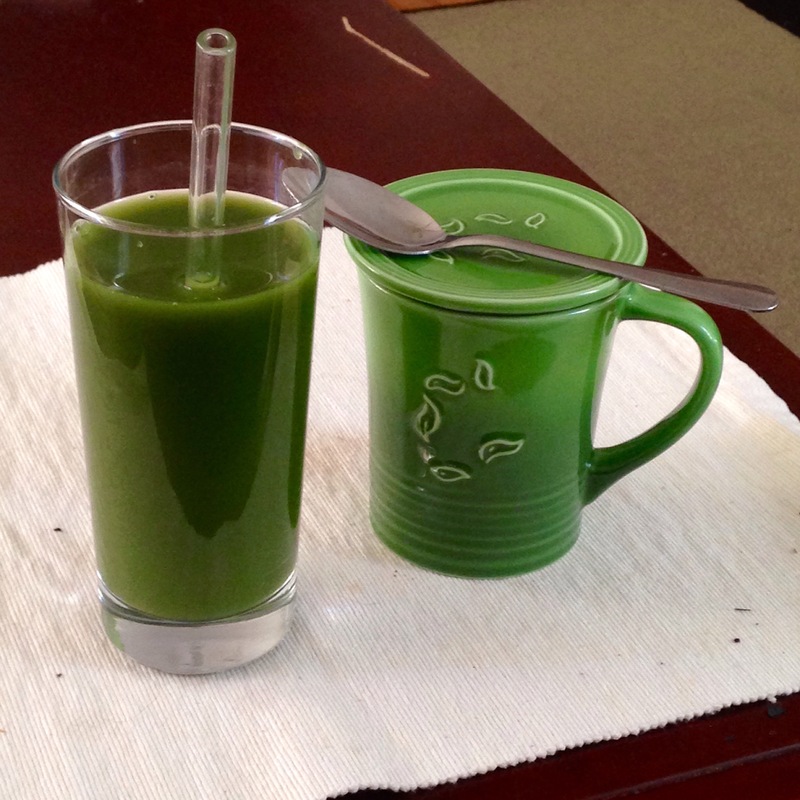 While he cooked the waffles, I had a big glass of green juice and made a cup of tea with milk while I read a new book. Actually, it is an old book, Enchanted April, but it is new to me. The juice flushed me with fluid and electrolytes and just enough sugar to perk me up while I smelled the waffles from the other room. Soon enough, all the waffles were ready, and a dabbed one with butter and drizzled it with syrup, and then made a second cup of tea. Breakfast consumed and relaxation achieved, I looked at the clock. It was just after 10 a.m., a time at which, on previous weekend mornings, I might still be lounging about it bed. But this time, I was ready to start my day, well-fed, hydrated, and eager to get moving.